It is Friday and I am posting some food questions! Enjoy and try to participate! Please remember that I am changing my main blog from https://pinkpolkadotfood.wordpress.com/ to http://www.pinkpolkadotfood.com/, so please subscribe at my new blog, if you still want to get updates on my posts. Enjoy and have fun in the kitchen! Firstly I want to let you know that I am changing my other blog from https://pinkpolkadotfood.wordpress.com/ to http://www.pinkpolkadotfood.com/. I will terminate my wordpress blog on 10 July 2012, and I can unfortunately not keep my subscribers, so please subscribe at my new blog, if you still want to get updates on my posts. It is raining in Cape Town. We are all sitting snuggly in the family room, watching Wimbledon. I have made a peri-peri marinade and I am marinating some chicken wings, which will go into the oven soon. I am feeling completely content, whilst typing this post of my 74th Food Quiz. I hope you will all enjoy doing it and reading all the answers. If you have never done this before, the rules are quite simple. 1. Please copy the questions and do the answers on your own blog. 2. Please leave me a message to tell me that you have done it. There are no prizes; it is just something to do for fun! I will post the answers to the Quiz on Monday evening with a link to your answers! For the quiz, please visit Pinkpolkadotfood. com. Most of the regular visitors to my blog, know that all my recipes posted on my blog are food that I have prepared for my family. I mostly cook supper and since the sun is setting so early at the moment inCape Town, I am really battling to take good quality photos, because there is almost never enough daylight. Please excuse the quality of the photos. I am also changing from https://pinkpolkadotfood.wordpress.com/ to http://www.pinkpolkadotfood.com/. I will terminate my other blog on 10 July 2012, and I can unfortunately not keep my subscribers, so please subscribe at my new blog, if you still want to get updates on my posts. Norwegian salmon is another type of fish that I really enjoy. I don’t buy it often because it is on SASSI’s orange list and it is also quite expensive. Last weekend I could not resist and bought some. Once home, hubs insisted that he wanted to do it on the braai, so we agreed to cook it on the Weber on indirect heat. To see how to prepare an indirect fire on the Weber, please visit ilovemyweber. The fish can also be cooked in a pre-heated 180ºC oven. 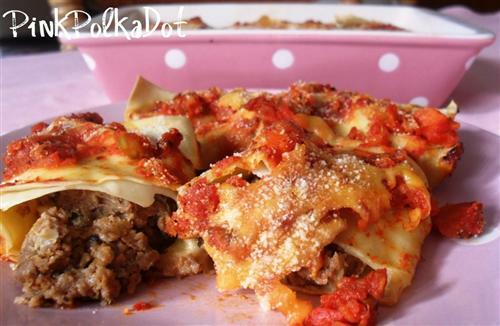 For the recipe, please visit my new PinkPolkaDotFood site by clicking on the picture! 1. What is the main ingredient of “potage st germain”? 2. What is a cordial? A – It could refer to an alcoholic or non-alcoholic or medicinal beverage. 3. Where did chicken kiev originate from? A – Many theories exist, but most people say that it must have been inRussia or Ukraine, but most theories say that it must be from the Ukrainen capital called Kiev. 4. What two ingredients MUST BE in a cassoulet? A – Beans and Meat. 5. 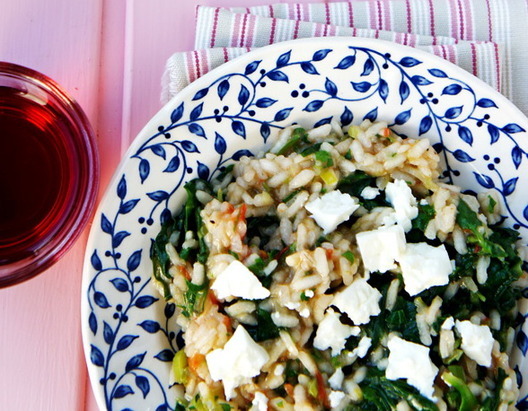 What is the main ingredient of the Greek dish Spanakorizo? A – Spinach or green beans and rice. 6. What does “Kleftiko” mean? 7. Sage is native to which area? 8. What are the traditional ingredients of Beef Wellington? A – The traditional ingredients are a whole seared fillet of beef, spread with sautéed mushrooms and wrapped in pastry. 9. What is the dough called that is used to make croquet-en-bouches’s puffs? 10. 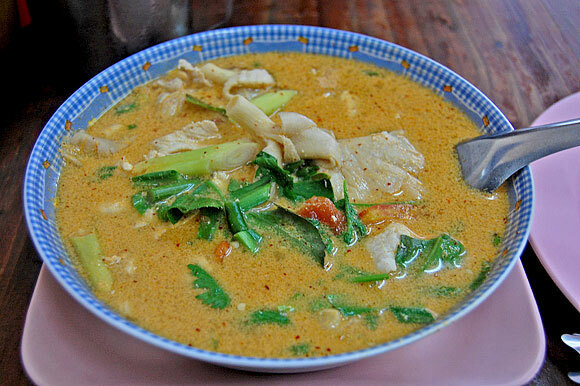 What is the traditional Thailand soup made of coconut and chicken called? I woke up on Sunday, 24 June 2012, feeling very excited! 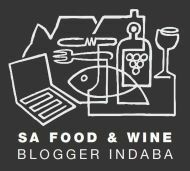 The biggest event on any Food Blogger’s event list, South African Food Bloggers Indaba, was on my agenda for the day! My daughter and I were both attending the event and we left just after seven in the morning. Outside we were met with a rainy, cold and grey day. The event was taking place at the Pick and Pay Conference centre in Kenilworth. Although cold and grey outside, inside we were met with warmth and one could feel the excitement in the air. The registration process was extremely efficient and took less than a minute. We received an apron and a Wusthof knive with compliments from Yuppiechef on arrival. It was wonderful, seeing old blogger friends again and meeting new ones. It sounded like a family gathering, with all the: “it is so nice to see you again” and “finally we meet!” etc! I would have loved to socialise a bit longer, but the formal event started too soon with the welcoming done by Paul Raphaely from NoMU, who was the MC for the day. After the welcoming Paul Galatis of Yuppiechef spoke briefly. Be consistent and have a policy of how you deal with stuff. Credit the work of others. Be respectful to fellow bloggers. I enjoyed this session a lot because Jeanne is such a talented speaker and I really wished she presented more sessions. You must have an online and offline presence! Thereafter it was time for coffee. I did not have breakfast before I had left that morning and was I grateful; we were served the most delicious crispy miniature rolls with a wonderful filling, delicious muffins, fruit salad and much more. You must determine what your specific goals are. Get a unique selling point that will distinguish your blog from the next. Decide which social media platforms will promote your goals the best. Use your logo across all social media platforms. Be trendy and know what other people are tweeting about. Online readers are goal orientated and they want information fast. Your online information must be easy to read and to scan through. Your pictures should correspond with the topic that you are writing about. Provide valuable and interesting information in an easy-to-read format. Your most important information must be at the beginning and organise your content into categories. Create original content and attribute information and pictures to the sources. Make every word count, be concise and credible by providing up to date information and making sure that your content is free of grammar and/or spelling mistakes. Always answer comments and comment on other blogs. Become part of the online community. To make it easier for searchers to find your posts, always include your primary keywords towards the beginning of your posts and use keyword phrases. Become the “go-to-blog” for your specific content. Pinterest will drive more traffic to your blog than You Tube, Google and LinkedIn together. It is the best place to showcase your products. Lunch was wonderful and we could sample a large amount of Pick and Pay’s Finest Food range. A large amount of vegetables and salads as well as perfectly cooked beef fillet and Norwegian salmon was, amongst other more delicious food, available on the buffet table. After lunch, each delegate could attend two sessions from a selection of very interesting topics. My first session was with Sarah Graham of the blog “A foodie lives here” on the topic: “Writing and publishing a cookbook”. It was great listening to Sarah’s success story about her cookbook: Bitten! Sarah also did a cooking demonstration and cooked some easy goodies, which I could unfortunately not sample, since I could not eat another crumb after the wonderful lunch. After a coffee break, with some more delightful thingies to eat, I attended the session: “SEO and live blog audit”, presented by Neil Pursey from WebGrowth. I thought that this session was aimed at a more technical group and there were so many questions from the audience that Neil could unfortunately only spent 10 minutes on the live blog audit. I must admit that this session was the lowlight for me for the day, since all this technical stuff, although very important, place a burden on my enjoyment of blogging as a hobby. Although I would have loved to make money with my blog it seems like everyone is getting so occupied with driving more traffic to their blogs, that they sometimes forget about the fun. The other question that this session left me with, is “Are food bloggers competitors?” or do we want to be a blogging community and family? After this session some wonderful sponsored goodies were auctioned and more than R13 000 was raised for the charity project: The lavender in Lavender Hill. I was sad when this day had to come to an end! I would like to congratulate Colleen Grové aka Colly Wolly from the blog BrownieGirl for arranging this wonderful event. My daughter, who blogs at Shrewd Tennis, is not a foodblogger, but she found the day informative and interesting. 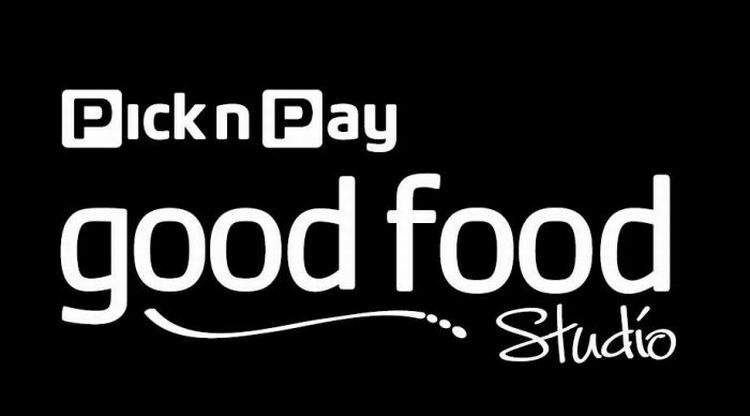 I think this is one event that bloggers in South Africa, and not only food bloggers, should not miss in future! My daughter has been making a variety of ice lollies with her Zoku Quick Pop maker. She used the berry ice tea from Bos to make a delicious berry tea lolly, the mango juice from Sir Juice to make mango lollies and milk with NoMU’s chocolate to make her favoured delicious chocolate lollies! This was a great week, but totally exhausting!! I have been spending great days with my family and I have been working a lot! It is time for another Food Quiz, since I have not posted one in a while. 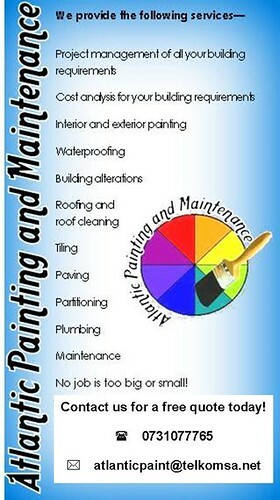 There are no prices; it is just something to do for fun! A hint: Most of these questions are from features in June 2012’s Fresh Living, Pick and Pay’s Foodie Magazine! 1. What is the main ingredient of “potage st. germain”? Enjoy the weekend and have fun in the kitchen! 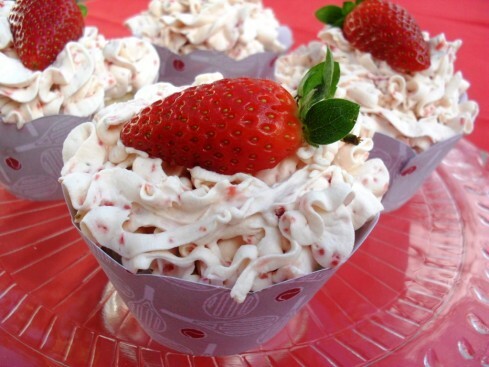 On 29 June 2011 I posted this recipe for Wimbledon Cupcakes! 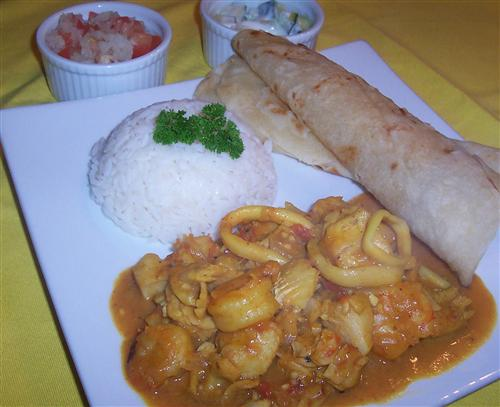 On 29 June 2009 I posted this recipe for Seafood Curry! Avocado is one of my most favourite fruits. In it’s simplest form, sliced on a slice of bread or glamorized in any other form, I just love it. 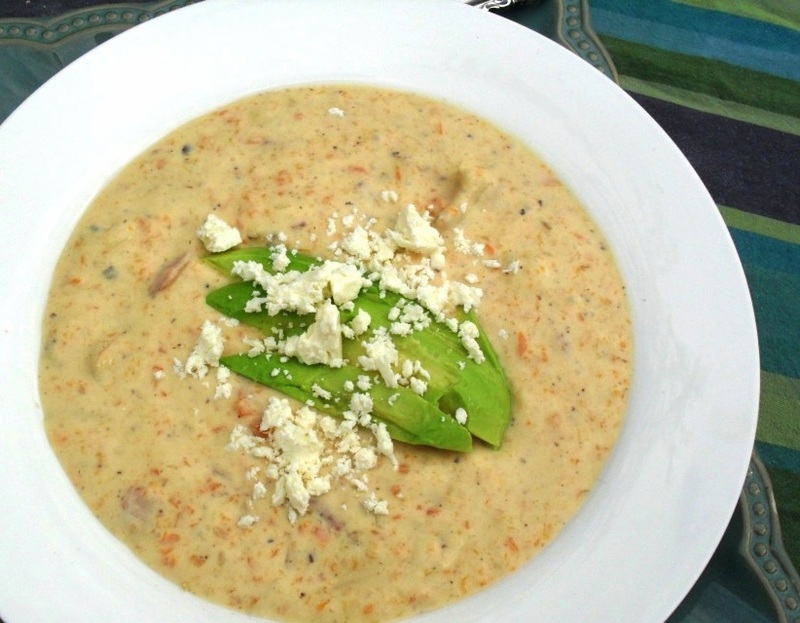 It is one of my most favourite pizza toppings and I still think the combination of bacon, avocado and feta is a match made in heaven (this soup was created in honour of this wonderful combination). My brother eats avocado with syrup on bread. I always thought this to be a very odd combination, but he loves it. Hubs grew up on a farm near Hazyview and one of the fruits that were farmed with was avocados, but he dislikes avocado in any form. His brother is still farming there and he also dislikes avocados. He went as far as removing all the avocado trees on the farm, saying it farms as badly as it tastes! I really can not understand that anybody does not like avocados. Although avocados are sometimes called avocado pears, they are not related to the pear family at all and are only called that because of its resemblance to pears. The Taiwanese eat avocados with milk and sugar and Filipinos puree them with milk and sugar to make a drink that is eaten after meals. (Maybe this is where my brother got his avo-syrup idea from?!) The Indonesians mix avocados with milk, coffee and rum! Avocados are also used in facial and body products. The leaves of the avocado tree can also be used in both fresh and dried form. 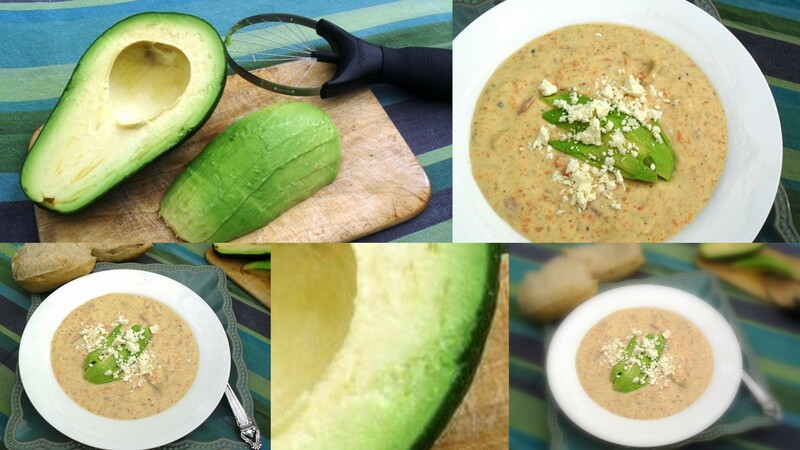 One of the most creative avocado dishes that I have heard about was an avocado chocolate mousse recipe on the blog of “Daily dose of fresh”. You can find the recipe here! As a teenager I believed that avocados were a totally no, no, because it was fattening! But now we know that the fats in avocados are good fats which can reduce cholesterol levels. Avocados also have the highest protein content of any fruit. It is currently considered as one of the healthiest foods on the planet because it contains valuable essential nutrients, including vitamins A, B, C and E, and iron, magnesium and potassium. For more information about avocados go to SAAGA. Fry the bacon in a large pot, until crispy. Remove the bacon from the pot. Sauté the onion in the bacon fat on low heat until soft and fragrant. Add the garlic, celery and carrots and simmer until the carrots are soft. Add the butter to the vegetables and brown slightly. Add the chicken stock slowly and mix thoroughly until smooth. Add the black pepper and cayenne pepper and simmer for 10 minutes until thickened. Remove from the heat and cool down a bit before liquidizing the mixture. Return to the pot and add the cream and bacon and heat through. Serve in bowls with slices of avocado and crumbed feta cheese. I am still intrigued with my posts on this day on previous years! I did not post anything on 20 June 2011 or 20 June 2010. On 20 June 2009 I post a picture of our breakfast that consisted of banana bread and choc chip muffins! Answers to Friday Food Quiz number 72 and what did you post on this day, a year ago? At last I am posting the answers to Food Quiz number 72. Thanks for everyone that participated and thanks for your patience! 1. What is a Rendang? A – Rendang is an Indonesian dish made by simmering meat for hours in coconut milk and spices until the liquid has evaporated. 2. What does “to butterfly” means? A – To cut food (usually meat or seafood) leaving one side attached and to open it out like the wings of a butterfly. 3. What is meadowsweet and what is it used for? A – A culinary herb from Asia andEuropeused to flavour jams, stewed fruits and wine, as well as mead and Norfolk Punch. 4. What does Mulligatawny mean? A – When translated directly it means “pepper water”. 5. What does the term “coats a spoon” means? A – When a substance is rendered thin/thick enough so that when a wooden or metal spoon is inserted into it and taken out, the substance leaves a thin film “coating the spoon”. 6. What is “Ouefs en Meurette”? A – It literally means “eggs in meurette sauce” and it is a French dish poaching eggs in red wine sauce. 7. What are the main ingredients of paneer? A – Milk, lemon juice and water. 8. What is the name of Nepal’s most favorite dish? A – Dhal-bhat-tarkari is eaten throughout the country. Dhal is a soup made of lentils and spices. It is served over a boiled grain, which is called bhat. The grain is usually rice but it can be another grain. This is served with vegetable curry called tarkari. This is served with a number of condiments such as chutney or atchar. 9. What is the main ingredient of Chaas? 10. What do gazpacho, bouillabaisse and bisque have in common? A – These are all soups. On Sunday afternoon, whilst hubs took a nap, I tried to catch up on my favourite blogs. All of a sudden I was wondering what I have posted the previous year and the year before on that specific date. I came to realize that my blog changed quite a lot. I the beginning years of my blog I used to post some jokes and other funnies. I also posted pics of my table settings quite often – can anyone still remembers that? On 19 June 2009 I posted this funny about a dog! So what did you post on this day in previous years? Although I love kingklip, I do not buy it often since it is on SASSI’s orange list, meaning that the species are depleted, either due to over fishing or the way the fish has been caught. 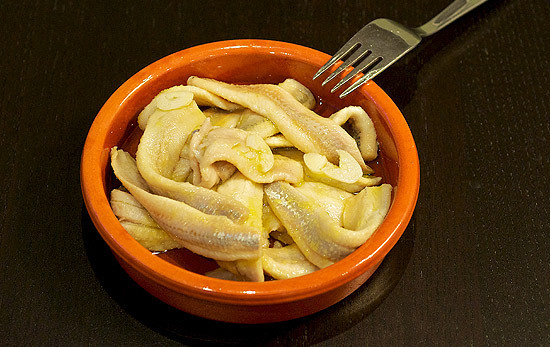 For more information about Kingklip on SASSI’s list, go here. 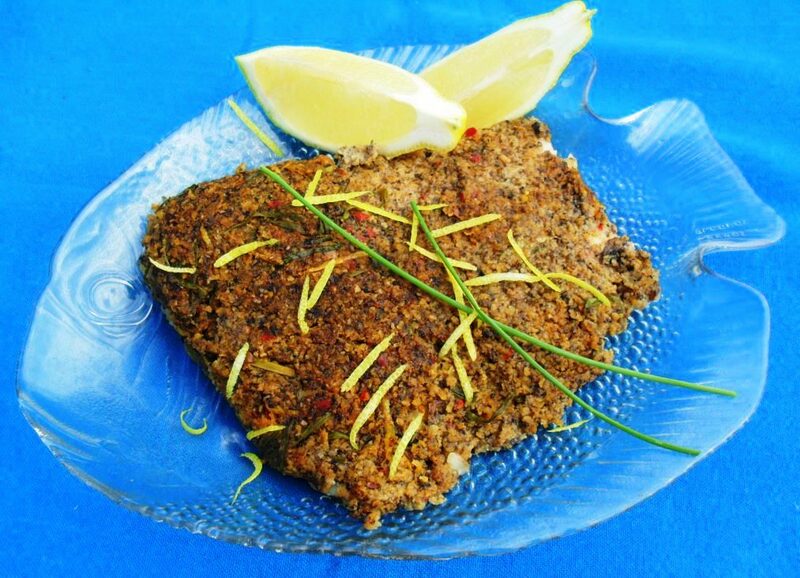 It used to be one of my most favourite orders in Restaurants and preferred fish for home cooking. Lately I only eat it on special occasions and Father’s day is such an occasion. 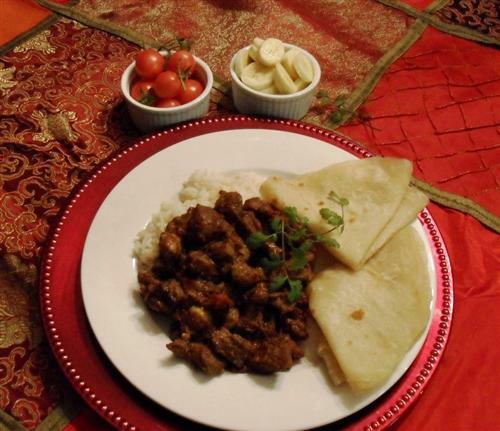 This dish tastes fabulous and is quick and easy to prepare! Heat 15ml of the butter in a pan on the stovetop and gently fry the mushrooms, chillies and chives for 2 to 3 minutes. Remove and cool down a bit. Place the mushroom mixture, with the breadcrumbs and rind into a food processor and season with salt and black pepper. Process until the mixture looks like breadcrumbs. Place the fillets in an ungreased baking dish and top with the mushroom mixture. Dot with the remaining butter, cover and bake in the pre-heated oven for 20 minutes. 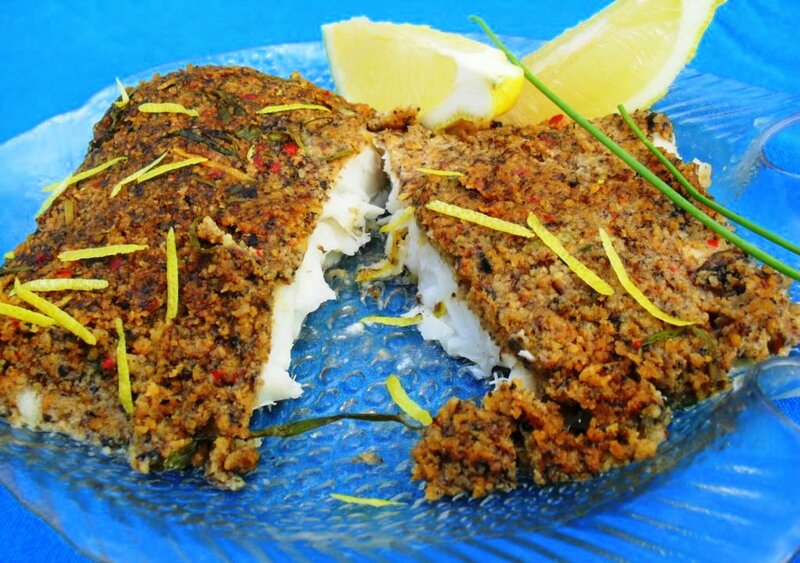 Serve with some lemon wedges and a side dish of your choice.